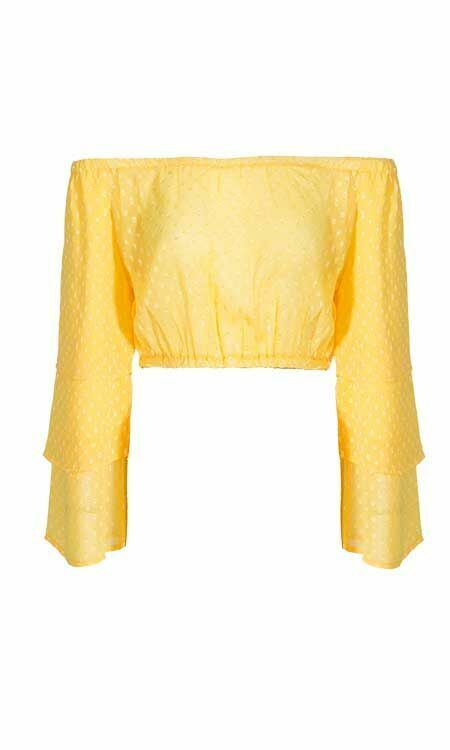 This beautiful crop top in the color yellow is finished with a dot pattern. 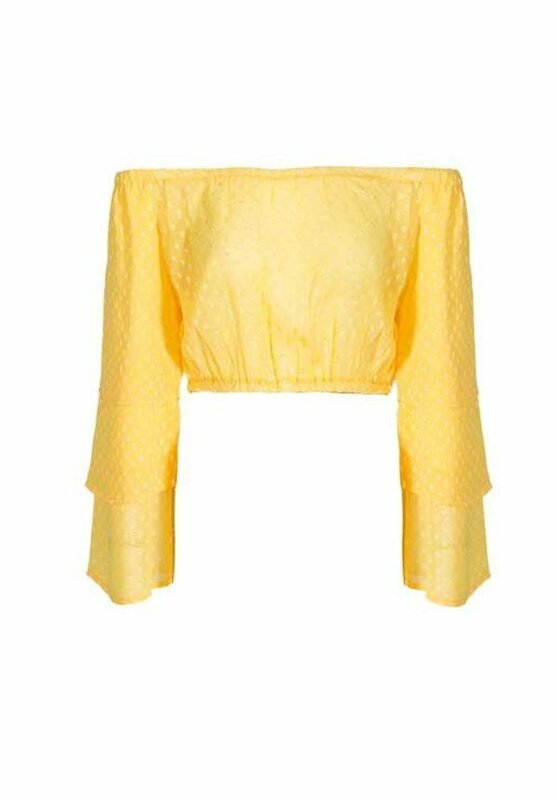 In addition, the top has an elastic off-shoulder neckline. 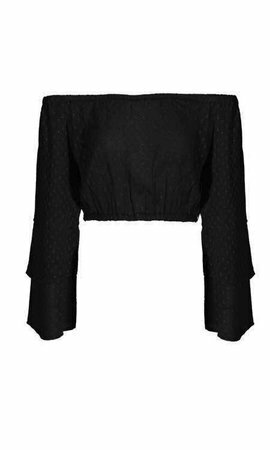 The sleeves are finished with multiple layers.